* There's nothing worse than a shabby, dog-eared business card stuffed into his pocket. 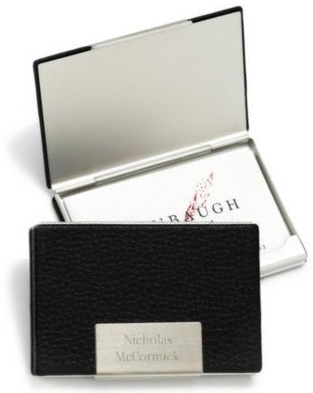 * Class him up with this sophisticated stainless steel and leather business card holder, with stylishly engraved front plate. 3.75" x 2.5" x 2"